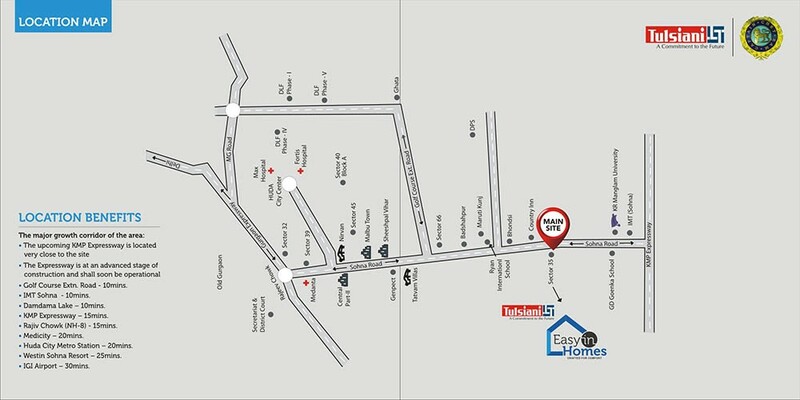 “Tulsiani Easy in Homes” – Affordable housing project licensed by Haryana govt., Adjoining GD Goenka University, Sohna Road, New Gurgaon. 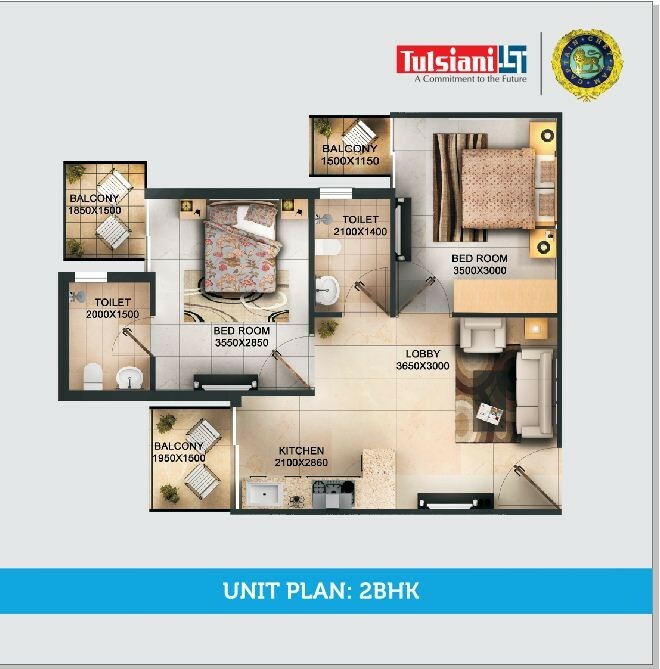 Tulsiani a well-known Real Estate Company has launched 1BHK & 2 BHK housing project under “Affordable Group Housing Scheme” at unbelievable tentative basic cost of Rs. 12.68 Lacs & Rs. 18.60 Lacs(Rate on Carpet Area Basis). 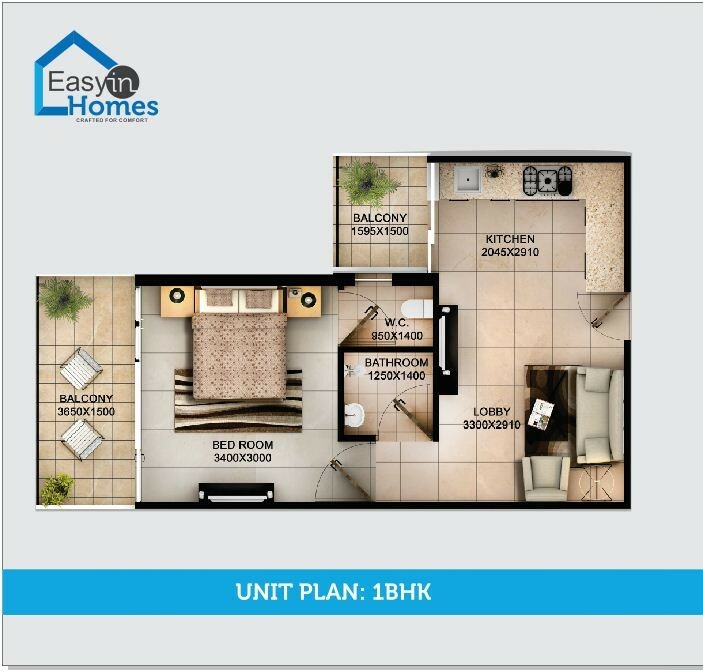 Fulfill your dream to live in a perfect natural settings, surrounded by Aravalli hills and greens, in a comfortable 2BHK apartment (2 spacious bedroom + 2 Toilets + Kitchen Dinning/Living and Balcony) adjoining GD Goenka University & other to Top Educational and Proffesional Institutions located in close vicinity. Tulsiani – A Leading name in Real Estate Industry is an Allahabad based company with expertise in design & development of residential & commercial property. Its resplendent track records are redolent with sustained growth, customer satisfaction and innovation. The company, have simply one mantra that works at the foundation of every edifice we build 'People First'. It is people, their environment, their needs and the quality of their lives that are vital inputs for our engineering, landscaping or choice of location. The Best Location – Apartment at almost one fourth price of Premium Housing in the near vicinity. First Time in Gurgaon – Project with rate chargeable at carpet area only. Fixed Rate - @ Rs. 3600/- per sq. ft. on carpet area (As per Govt. policy). Free Parking - With every apartment as per policy. Allotment by Draw - By officials of Govt. of Haryana. Affordable Housing License - Issued by Govt. of Haryana. Possession Time - Max. 4 years from the date of allotment. Free Maintenance - For 5 years post possession. Cheques/Drafts to be made in favor ”TULSIANI CONSTRUTIONS & DEVELOPERS LTD. "